The Norfolk-based driver finished second in the British F4 Challenge Cup category in 2017 with four class victories, and just missed out on a top 10 overall classification, despite missing three of the 10 rounds. The 20-year-old has a broad range of experience behind the wheel, having also competed in the SsangYong Musso Pick-Up Truck Challenge series last year, as well as the 750 Motor Club Formula Vee Championship in 2016. Prior to that, he enjoyed a very successful karting career, which saw him clinch five titles in three years from 2012 to 2015. He claimed Rotax Max Euro Challenge honours in the junior category in 2012, as well as winning the Rotax Max Challenge Junior Grand Finals, and the Rotax Max Wintercup in Rotax Max Junior. In 2013 he claimed the Rotax Max Wintercup in the Rotax Max Senior category, and then claimed his fifth title in 2014 when he secured the Rotax Max European Challenge in Rotax Senior. 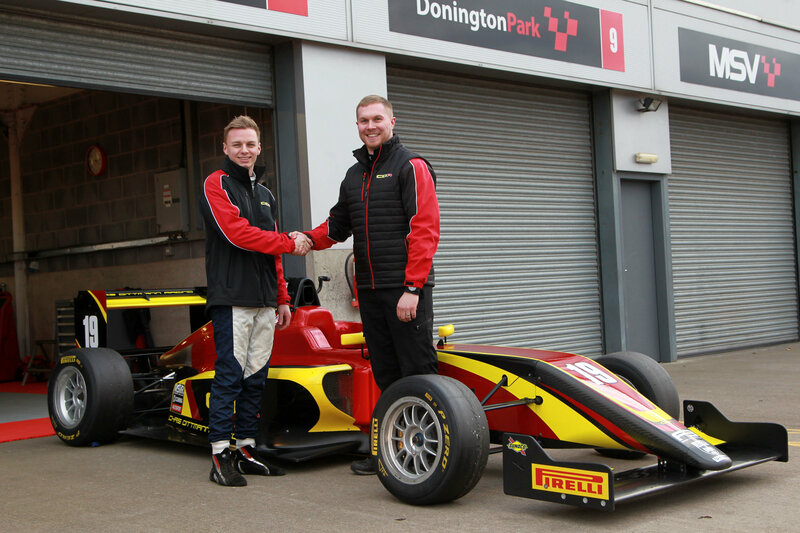 Webb delivered an exceptional performance with the Chris Dittmann Racing team at the British F3 Media Day at Donington Park. On his first outing in the car for five months, his first time in the wet and the first time he had driven the Donington Grand Prix layout, he set the fastest time in the very wet opening session, more than three-quarters of a second quicker than the rest of the field. He placed 11th overall in the final classification, further proving his credentials. Website by ApexPR, based on MageeWP Theme.